Disney is the world’s largest traditional media company and the move doubles its stake in video-streaming service Hulu to 60%, giving it more reach to the growing group of consumers who don’t use conventional TV services. The move is a dramatic example of Hollywood companies joining forces amid growing competition from digital powerhouses, like Netflix and Amazon. Disney is betting that greater control over digital distribution will help the company better compete with digital video services that are growing quickly, especially among young viewers. The media giant expects to launch its streaming services next year. The deal includes 20th Century Fox, a cable group that includes FX Networks, National Geographic and 300-plus international channels, and 22 regional sports networks. The sale also includes Fox’s 39% stake in Sky, the owner of Sky News as well as India’s Star TV. In the US, the widely-anticipated deal will bring together the 20th Century Fox film studio known for hits such as Avatar and Ice Age with Disney’s film assets including Pixar, Marvel and LucasFilm’s Star Wars franchise. 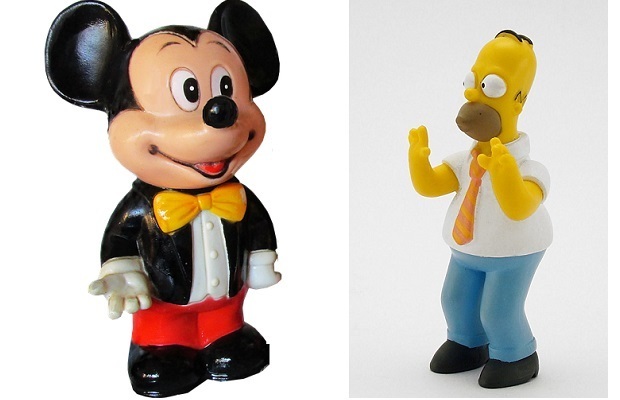 The combined company will also own the Mickey Mouseand Simpsons characters. However, Fox’s US news and sports networks will be spun off to existing shareholders. The deal, paid for in Disney stock, is likely to come under the scrutiny of regulators in the US, where Disney and Fox together account for two in every five cinema tickets sold. In the UK, Fox has been trying to buy full control of Sky for the past year. The Disney deal paves the way for it to take over the UK-based European broadcaster. Disney said assuming this did complete prior to its takeover of Fox closing, it would assume full ownership of Sky.